It's FALL!! This is, without a doubt, my absolute FAVE season. The smells, the sounds, the sights.... the food (apple pie, pumpkin everything! cider and donuts).... it's just awesome goodness. Yes?? Yes. It's also an excellent time to update those family portraits. 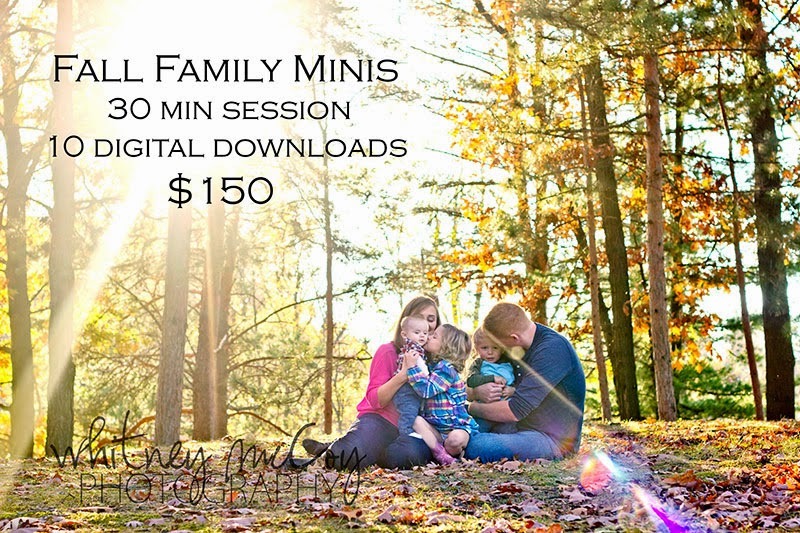 Whether it's been a few years since you last stepped in front of a lens... or, if you just want a quick updated photo of the kids for those holiday cards, now is the perfect time to book your session. Current Dates available are for the evenings of Saturday, October 4th and 18th, and Sunday October 5th, 19th, and 26th. This is the LAST sale before the holiday season... so don't wait... book now!